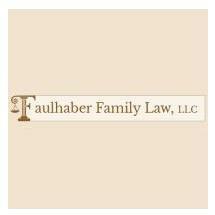 At Faulhaber Family Law, LLC, we are committed to empowering our clients as they move through their family law issues. Beyond just resolving the immediate challenges that accompany a divorce or other family law dispute, we look to guide our clients through difficult situations and come out on the other side prepared and confident in their future opportunities. With more than two decades of legal and professional experience, we understand the importance of taking a hands-on, personalized approach to working with our clients. For most people, a divorce or other family law matter is an extremely emotional experience. By helping our clients focus on the issues at hand, we can set aside the bitterness and acrimony that can overtake negotiations and delay proceedings. Attorney Tamar Faulhaber founded Faulhaber Family Law, LLC, to provide clients with the kind of legal services they actually want. By setting realistic expectations, attorney Faulhaber helps her clients establish achievable goals while taking meaningful action to resolve the matter at hand and plan for the future. Whether you are considering filing for divorce or have already separated from your spouse, contact us, schedule a consultation and learn how we can help you through this challenging period of your life. From our offices in Alpharetta, Georgia, we provide discreet, confidential services that protect our clients' privacy.